Driving Under the Influence (DUI) can have significant consequences to your life, even on a first offense. Depending on where you live or what you do for a living, a suspended driver's license may be a significant hardship for you, and in some cases there can be jail time for first offenders. Repeat offenders face even more severe consequences. While most people would probably agree that drunk driving is a serious problem, there are also real problems with the way DUI is investigated in Colorado. An experienced Boulder DUI defense attorney can help minimize the consequences from a DUI, and may be able to have charges dismissed if evidence against you was obtained illegally. The phrase “probable cause” basically means reasonable to to think that a person is probably doing something wrong. Probably cause is a very important concept in criminal investigation, including DUI investigations. The first thing that you need to understand about DUI investigations is that a police officer must have probable cause to believe that a driver has been drinking in order to begin an investigation. Erratic driving behavior, crossing lane lines, constant speeding up and slowing down, may all be reason to pull a driver over, in addition to legal infractions such as speeding, failing to stop for a stop sign or traffic light, and so on. However, after an officer pulls you over, he or she still must have probable cause to begin a DUI investigation. In this case, probable cause might consist of slurred speech, the smell of alcohol, or erratic behavior. 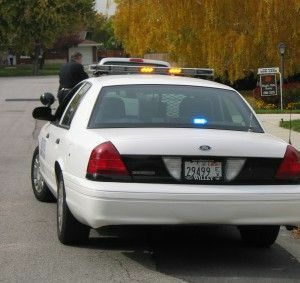 If you are pulled over just because an officer has a hunch that you have been drinking, or if you are pulled over for cause but the officer begins a DUI investigation on a hunch, then any evidence gathered may have been obtained illegally, and your Boulder Criminal Defense Lawyer may be able to have the illegal evidence suppressed. In all likelihood, that should result in having the charges against, both criminal and administrative, dismissed. A dedicated, aggressive Boulder DUI defense law firm can be vital to your future after a DUI arrest. Your lawyer will listen to your side of the story, examine all of the evidence against you, and how it was obtained, and design a defense strategy based on the details of your specific case. He or she can help advocate for you both for the administrative aspect with Motor Vehicles and in the criminal matter. If you have been charged with driving under the influence, contact an experienced, dedicated Boulder Criminal Defense Attorney immediately to protect your rights and your future. Steve Louth is a Boulder DUI defense lawyer who was formerly a Boulder County prosecutor. He understands how police investigate DUI, and the flaws in those investigations. He also understands how prosecutors build cases, and can create holes in those cases. Whether he has illegal evidence suppressed and charges dismissed or goes to trial alongside you, Steve fights hard for the rights of every client. For more information and a FREE CONSULTATION contact Steve at (303)442-2297 today.